Historic Ithaca and Significant Elements invite you to stop in on Saturday, September 22, 2018 for our annual Fall Showcase. 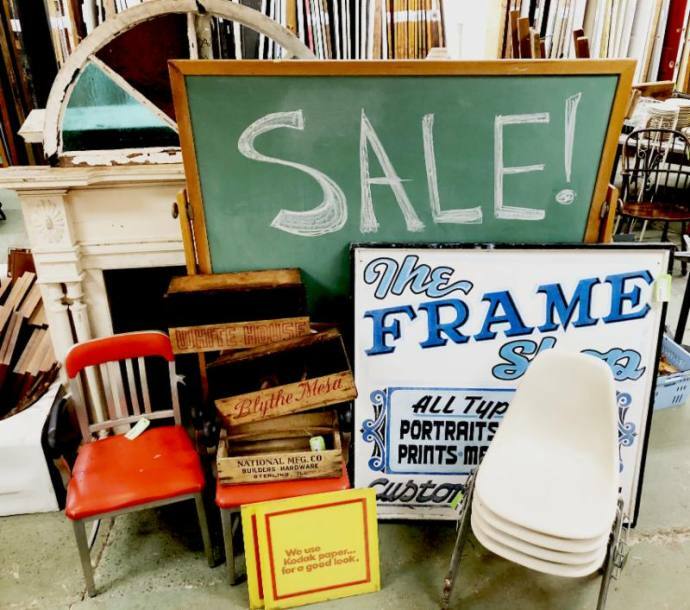 We’ll open our doors for our fall open house from 9:00 a.m. to 4:00 p.m., with 20% off (25% off for Friends of Historic Ithaca) store-wide at Significant Elements architectural salvage warehouse at 212 Center Street. Drop in for discounts off all vintage house parts, furniture, decorative items, DIY tools and supplies, and everything else in the store to spruce up your home. Shop sustainably and learn how to fix up your existing items in need of repair. Bring in your furniture, hardware, or lamp repair questions for one-on-one advice from our preservation professionals. Our Fall Showcase also offers some practical inspiration for those interested in old house preservation. Take a free behind-the-scenes tour of the historic Tibbets-Rumsey House at 310 W. State Street, 11 a.m. to 12 p.m. The stately Queen Anne, designed by Ithaca architect Alvah B. Wood, has been around since 1880 and is getting a facelift. See how historic tax credits and an Empire State Development grant are being used to rejuvenate a vital part of West State Street. Tour is free, but spaces are limited and registration is required: https://tinyurl.com/y9vzokmf. Meet at 310 W. State Street for the tour. And don’t miss out on the Fall Showcase’s Community Conversation. Join historic preservation advocates for “Future Landmarks: What Needs to be Saved?” about the future of landmarking in the City of Ithaca. Find out the process for local designation of a historic property in the City of Ithaca and Historic Ithaca’s role in that process. Voice your opinions about what historic properties are most in need of saving in the city. Meet in the library at Historic Ithaca, 210 Center Street, 2:00 p.m.-3:00 p.m.
For more information, please visit http://www.historicithaca.org/fall-showcase-2018/. Contact Pat at pat@historicithaca.org or (607) 273-6633 with questions or to register for the behind-the-scenes tour.